Aiseesoft Mac Screen Recorder is one of the top screen recorder for mac where you can capture any activity on the screen. It is a lightweight application with straight forward user interface. You can capture full region or any particular region as well as the change the resolution and frame rate. 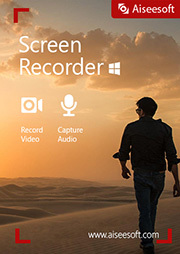 It is also a good game screen recorder, skype call capture, youtube video recording app and more. During the screen capture also you can highlight the cursor movement to make it easier to track and blue light real time HD video encoding technology gives best video quality and sound quality. There is lock window feature that lets you to keep recording activity on a certain window and the captured video can be saved n different formats like MP4, WMV, MOV, GIF, TS and more for smooth playback and sharing. Do one one click recording or set hotkeys to start or stop record, open, close webcam, snapshot and more. You can also record any online music, radio, audio call and more from system audio or microphone. You can capture amazing game play moments from any game and share it with others. Recording game lets you to improve your playing skill. This program can record your webcam videos on your computer and also go with skype or teamviewer chatting any time. 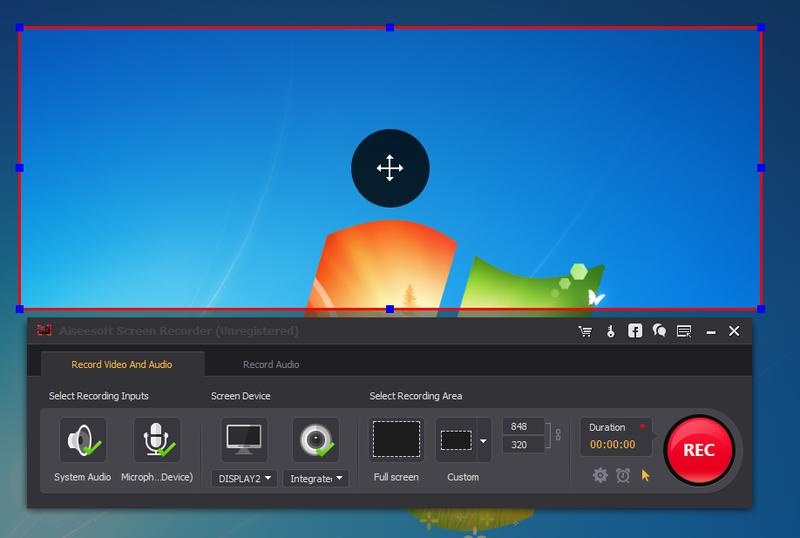 Make video tutorial in a easy manner to other’s understand easily and also highlight your mouse cursor with customized size and color. Record any streaming audio from system audio to get the original sound quality and also capture any online audio including track in MV, voice in teaching videos. Select microphone audio and turn off system audio to add oral explanation to your video. Take snap in a easy and quick manner to save useful information and there is option to freely adjust the snapshot area and add your personal label like rectangle, arrow, line and text to the output image. 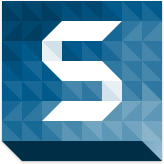 The snapshot can be saved in different formats and many editing function available. 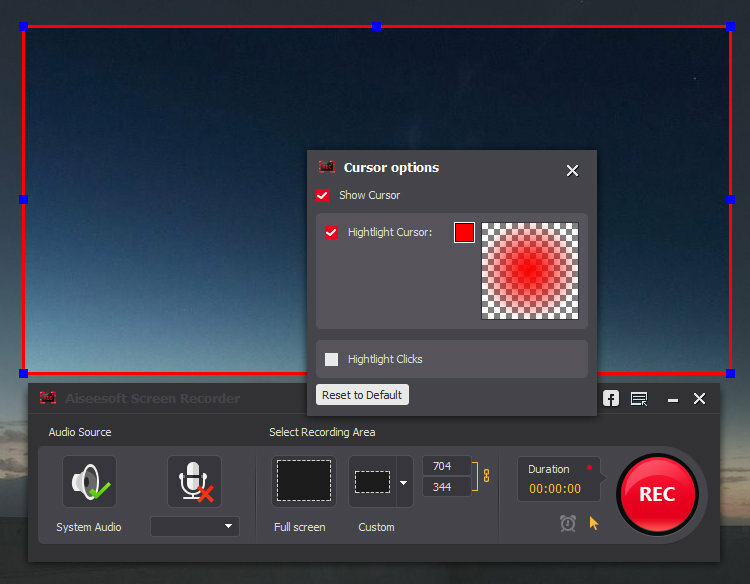 This online screen recorder has the ability to record screen along with the voice and cursor movement. Do recording of radio and also has possibility to record streaming videos. You can record the specified area mouse or follow the mouse to capture what you need and also set audio codec, quality, frame rate, audio quality and more. You can also have a quick access to all recorded video or audio files and snapshots. This feature reduces time for searching previously captured video. It is compatible with OS X 10.9 or later 64-bit. It is very convenient to use and capture audio and video in a professional manner. You can get the screen capture without any quality loss and it is used in various field like marketing, education, presentation and more. Aiseesoft Mac Screen Recorder gives effective communication and makes the viewer to easily understand.